Dr. Sue Doyle has been practicing in the Newburyport area since 2000, first at the Holistic Family Practice in Newbury and presently maintains a private practice at The Tannery in Newburyport. 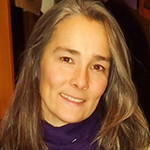 Trained in conventional medical disciplines as well as complementary methods, Dr. Doyle received her Doctor of Naturopathic Medicine degree (ND) in 1999 from the National College of Naturopathic Medicine in Portland, Oregon, the oldest accredited college of naturopathic medicine in the United States. Dr. Doyle is Board certified and licensed to practice Naturopathic Medicine. When not practicing, Sue can be found hiking, biking, skiing, and spending time with her husband, two sons, and dog in Newbury, MA. Map/Direction to Sue Doyle, N.D.